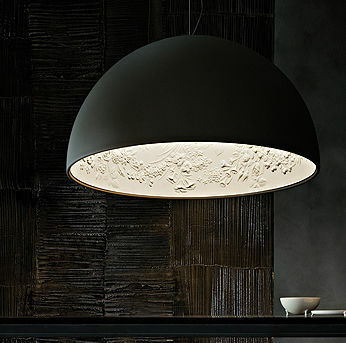 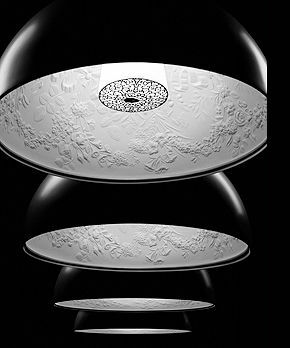 The latest design from superdesigner Marcel Wanders is the Flos Skygarden is a new pendant light series. 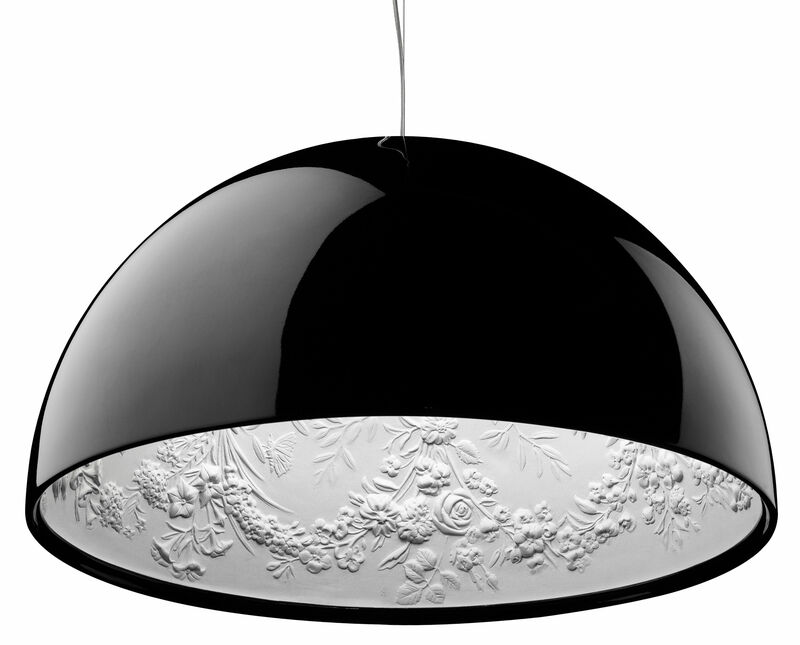 The Skygarden was inspired by an antique decorated plaster ceiling in one of Wanders's previous homes. 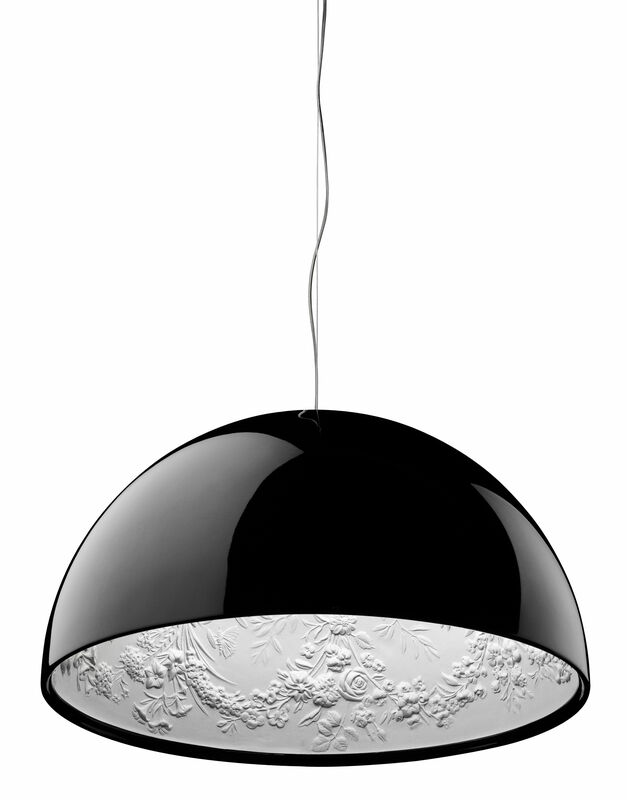 The exterior of the lamp is done in sleek glossy black, white, rust or gold. 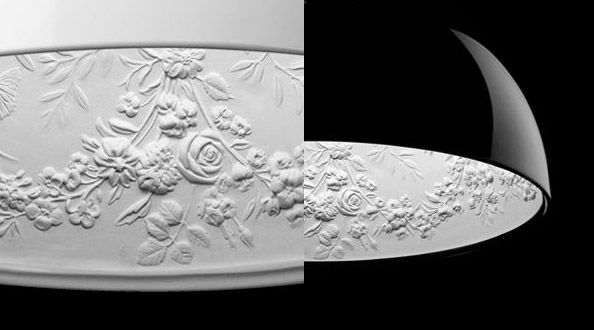 The interior shows intricate old-fashioned detail including leaves flowers and branches. 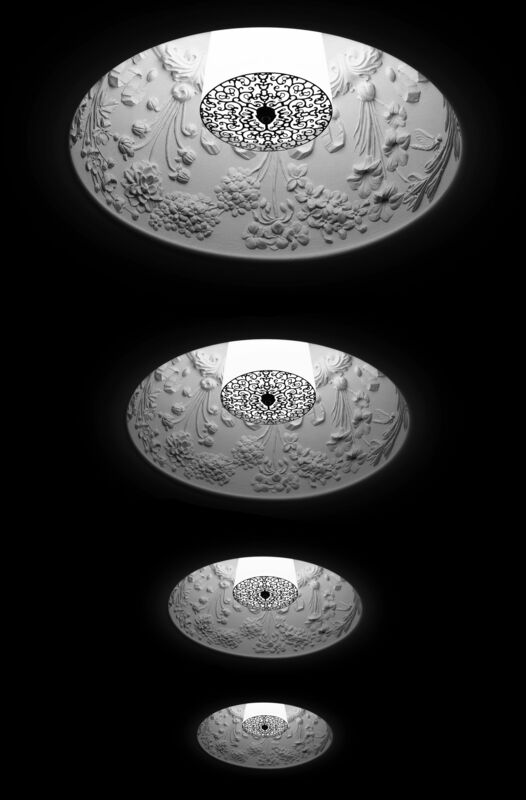 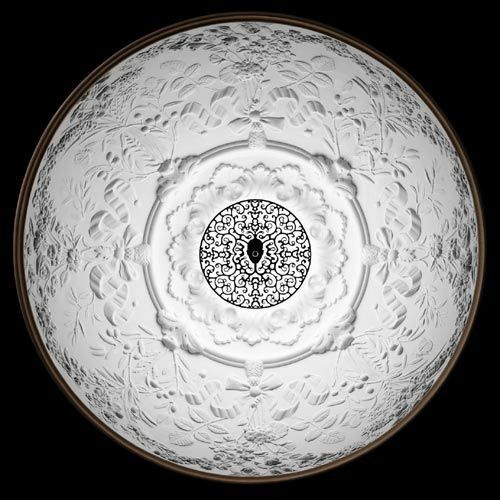 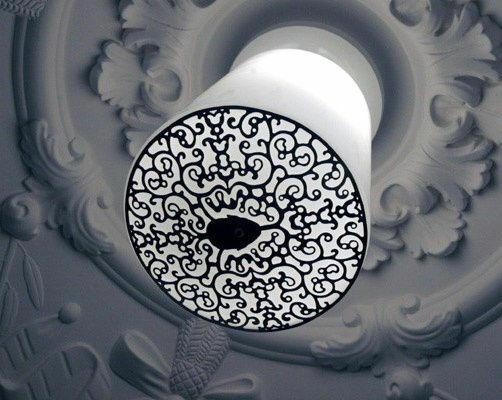 The light bulb cover also has a laser cut pattern featuring one of Marcel Wanders design patterns. 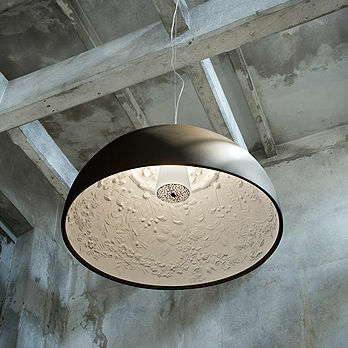 The design is typical of the way Wanders blends the modern and the classic.